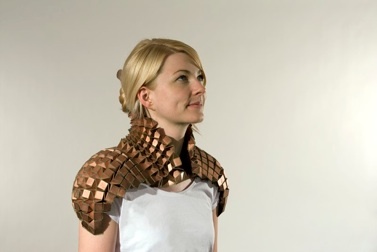 Tine trained as a jewellery designer, and makes a wide range of jewellery and accessories. She has developed her work in two directions. World Money Project: Take part! On the other hand the folding work and the copper lacework have been designed to be visually pleasing and a little surprising. They are made using a combination of traditional and computer-based techniques. On the one hand there is the conceptual work. This is divided in different projects. Each project was built on a specific brief, set by Tine herself or by a gallery as an exhibition-theme. Material choice and design are different for each project because they are determined by Tine’s interpretation of the brief. 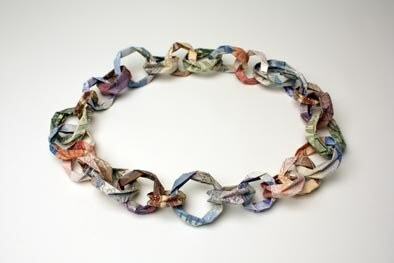 The latest addition is the World Money Project, a continuation on the collection of banknote jewellery. Please feel free to contact Tine if you want more information about her work.